Just found out this Visual Studio 2010 theme for Windows 7 and thought I should share it with you all. This theme includes 3 VS2010 wallpapers (wish they were widescreen), and has been put together by Rob Caron for all the .NET devs out there. 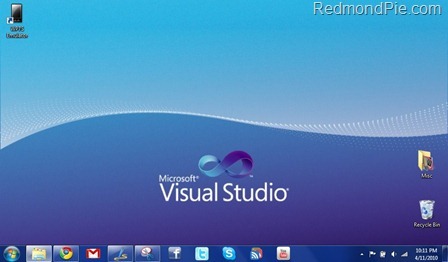 Visual Studio 2010 Theme for Windows 7 is available on Rob’s SkyDrive and can be downloaded from here. UPDATE 1: The VS 2010 theme for Windows 7 has been fixed and can now be downloaded from here. Thanks Rob !